Title" Samurai under Sakura Tree "
Ryuoh was born in Chiba Prefecture in the 14th year of the Meiji era. His real given name was Tadasaburo. He acquired the Shijo painting style under Shimazaki Ryuu. Description There are some spots and stains. 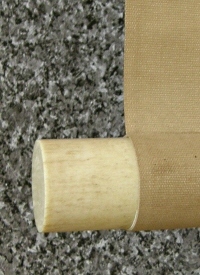 Several slight folds at the top of the mounting are recognized. 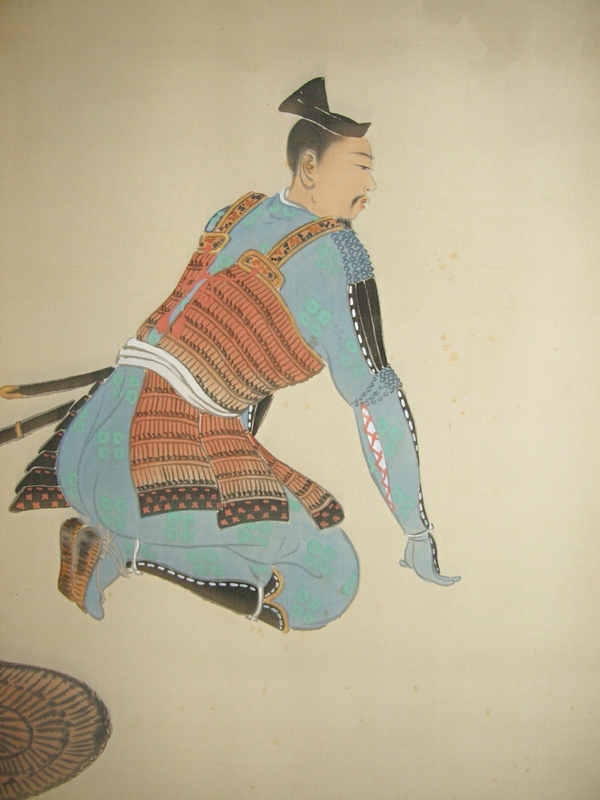 A Samurai warrior (Kojima Takanori) wearing Yoroi armor under Sakura tree is painted artistically. This is well-known historical scene. In 1332, Emperor Godaigo was exiled to the Oki Island. While the emperor's transportation from Kyoto to the island, at Funasakayama, Kojima Takanori tried to recapture the emperor. However, as there were many guards, he gave up to recapture the emperor. 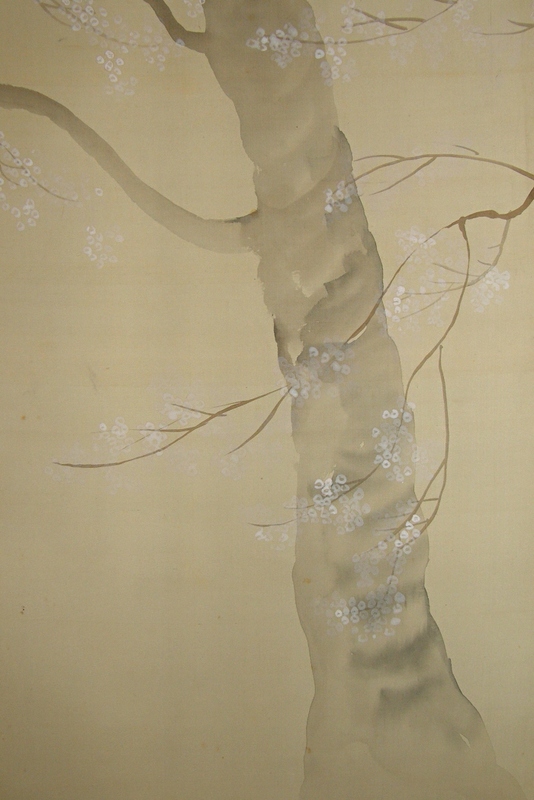 Takanori sneaked into the residence and carved a Kanji poem on a shaft of Sakura tree.